The United Nations are celebrating their 70th anniversary this year. Austria became a member of the United Nations on 14 December 1955, together with a group of several other States. 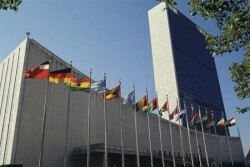 Since then, Austria has been an active member of the United Nations and has contributed to its work.